Good morning. I am Cathy Carr, Executive Director of Community Legal Services. Thank you for joining us today to support CLS, and to recognize this year’s Champions of Justice and Equal Justice awardees. This is our 22nd Breakfast of Champions! We have honored more than 100 people over the years and many of our previous honorees are in the room. They are attorneys, paralegals, judges, elected officials, civic leaders, law firms, and funders. Every awardee over the years has shared a common goal – to make sure that poverty is not a barrier to equal justice. This year, CLS celebrates our 45th anniversary of providing free legal services to Philadelphians who cannot afford to pay for the services of an attorney. And as we in this room all know, without a good lawyer, it can be very difficult to win a legal case. CLS provides excellent lawyers to the most vulnerable of Philadelphians and those lawyers make a huge difference. This year we served over 17,000 clients, and I want to share one example. Harbee Johnson was among the last members of the 24th Infantry Regiment, the last segregated African American unit in the US Army. He served on the front-line as a sharpshooter in the Korean War, and during that service he suffered severe frostbite, requiring a month of hospitalization and causing a life-long disability. Sixty years later, Mr. Johnson’s hands and feet are still disabled from the long term effects of cold injury and as a result, he has struggled financially. He applied to the Veterans Administration for Service Connected Disability Benefits, but was denied because he could not prove that his disability was caused by injuries suffered during his military service. He could not even prove that he served in a combat role. The reason is one that those of you who have handled VA cases probably know too well: a massive 1973 fire at the National Personnel Records Center, in St. Louis destroyed his service records, along with an estimated 16 million others. After years of back and forth with the VA, Mr. Johnson contacted CLS, and attorney Pam Walz took on his appeal. Pam used Mr. Johnson’s remaining records and recollections to prove that he had indeed suffered severe frostbite while in combat, and won the benefits he had been denied: back-benefits totaling $150,000, plus an ongoing monthly benefit of $3,600. Now, finally receiving the benefits payments our government promises to service members injured in combat, Mr. Johnson can look toward a future beyond poverty for himself and his family. Our work helps thousands of individuals like Mr. Johnson, and at the same time we tackle systems issues which affect thousands of Philadelphia’s poorest residents. Together with a wide range of partners, from community groups, to other advocates, to service providers and policy makers, we work to address the many causes of poverty itself and we can show concrete results. We are working on hunger: our advocacy there has increased the access to nutrition programs and school meals for hungry families and children. We are working on shelter: our advocacy there has increased protections to tenants living in buildings facing foreclosure, has made more loans available to families facing foreclosure of their own homes, and has kept utility subsidies paying for heat for the sick and indigent. We are working on jobs: our advocacy there built a city stimulus funded program for the jobless. We are working on health care: our litigation there got thousands of disabled and elderly the Medicare they were inappropriately denied. We are working on preserving income for the unemployed: Our advocacy there has extended the number of weeks families receive unemployment benefits in this difficult recession. Despite our recent successes, there is no question that this recession and the politics it has engendered have made it a very difficult time to advocate for the poor. Indeed from our vantage point, it feels the poor and unemployed are being expected to take a disproportionately large hit in the effort to balance budgets. The powerless are of course an easy target. And we predict that we will be losing in some of our efforts to help our clients in the coming months and years. But our legal services programs can promise this on behalf of our client communities: at least if rights are taken away, if critical programs are cut, if poor people lose, it will not be done in silence. We will be there to make sure the struggles and the needs of the most vulnerable people in this city, state and country are a part of the public conversation, that it is not only the powerful who are heard. Unfortunately our organization itself is feeling the brunt of the recession and government budget cuts this year. CLS avoided the bullet for awhile, and benefited from the old 2009 vision of how to end a recession: a variety of stimulus fund grants supported our work for the past two years. However, this year, like so many organizations, we face reductions in funding from both government and private sources, and must get smaller to survive. Fifteen wonderful productive staff members supported by stimulus fund are leaving us this summer. We will grit our teeth and take on the caseloads they leave behind. But even that step still leaves us with over a million dollar budget hole to fill for our coming year. I assure you we will cope. We have done this before. We will downsize even more, doing layoffs because 87% of our expenses are for personnel so we have little choice, and we will be aggressive in seeking new revenues. We will look to new foundations and angle for cy pres awards. (So all you class action lawyers, think of us this year). Of course the irony of our situation in this recession is that we are losing funds when our clients need us more than ever. The foreclosure crisis grinds on, employers still steal wages from low-income workers, scam artists are still bilking money from the poor, and inefficient bureaucracies still improperly deny benefits. The bottom line is we need you, our reliable supporters more than ever. And you are coming through. As Barbara announced, thus far this year, 106 firms and businesses have given $377,200 to support CLS through the 2011 CLS Bar Campaign. Having over 100 firms and businesses donate is a milestone and we are on our way to a landmark year in total campaign receipts. We have also seen the power of our supporters this year as we have moved forward on planning for a beautiful new building to house our North Philadelphia office. If you have not yet heard about this project, stay tuned and you will. We have successfully obtained over $4 million in state funds for the project and are on our way to kicking off a private fundraising campaign. The excitement and support for our building project has shown me how much people believe in our work and appreciate our excellence. Every year it is extremely moving for me to see all the people in this room who join CLS and PLA in our struggle for justice for all. We are here to work towards a very basic piece of the vision of America. Each of us, and indeed every American, is trained in elementary school classes that justice is basic to our democracy. We learn to recite “liberty and justice for all” before we can understand the words. The goal of establishing justice is contained in the very first sentence of the Constitution. And yet this goal is not one that we can meet without constant effort and commitment. I have the luck, and the challenge, every day of working to make America’s vision of justice a reality for some of the weakest and poorest among us. I am so glad you stand with me and with CLS and PLA. I really believe that together we can push forward a new vision of justice for all, justice in the courtroom, and also in education, in health care, in employment, in immigration, and in housing. That is the work of CLS and PLA, that is the work that your contributions support, that is the work that we can do together. Thank you all for coming this morning, thank you to all the volunteers who help us and the Trial Lawyers who sponsor this, and the law firms and individuals who contribute. In recent months, the Philadelphia courts have begun newly aggressive efforts to collect debts to the criminal courts. A new court payment system has been put in place to collect outstanding court costs, fines, restitution payments, supervision fees, and forfeited bail. There may be real consequences for people who do not get into a payment plan for what they owe, including loss of some public benefits, wage garnishment, and even a lien on property/Sheriff’s Sale. Advocates at Community Legal Services have been working with the courts to ensure that the new court payment system is implemented in a way that is fair to low-income individuals. Read more about the system and what individuals who think they may owe money can do about it to prevent more serious consequences later on. In the summer of 2010, Ms. Dominguez (all names have been changed), fell behind on her mortgage with Bank of America (BOA), and came to Community Legal Services (CLS) for help. While she was behind, there was a positive: she sought help very early in the process, and a foreclosure had not yet been filed against her. So with help from a local housing counselor, our plan was to help her apply with BOA for any loan modification programs for which she might be eligible, including the Home Affordable Modification Program (HAMP). HAMP is the Obama Administrations’ program ostensibly designed for struggling homeowners like Ms. Dominguez. Under HAMP, the loan is made more affordable and supposedly everyone wins, including the investors who get a performing loan rather than inevitable foreclosure losses and the homeowner who saves her house. In recent years, Pennsylvania’s Department of Public Welfare (DPW) has confronted unprecedented challenges. Like most state agencies, DPW has faced repeated operations budget cuts, resulting in a severe staff shortage. At the same time, DPW has seen extraordinary demand for its programs from Pennsylvania families that have been hit hard by the recession, especially Medicaid (Medical Assistance) and Supplemental Nutrition Assistance Program (SNAP, formerly Food Stamp) benefits. These dual pressures on DPW almost certainly will not abate in the coming years. However, the pressures create opportunities to look with fresh eyes at technological and operational efficiencies that can make DPW a more streamlined, responsive agency. 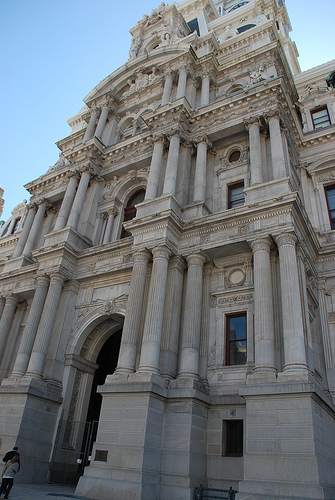 This week, CLS advocates in the public benefits unit forwarded four briefing papers to Governor-elect Corbett’s transition team offering suggestions on how DPW could respond to the challenges ahead. You are currently browsing the archives for the CLS category.